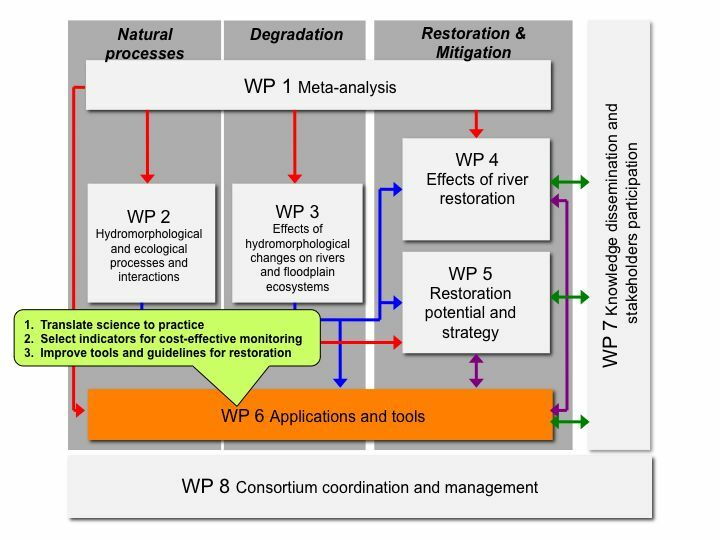 To develop monitoring protocols, survey methods, and assessment procedures to characterise the consequences of physical degradation and restoration for river ecosystems and its services by stakeholders and river managers. To develop guidelines and criteria for the use of analytical models and other quantitative tools for river assessment and restoration, and for the design of cost-effective hydromorphologically relevant restoration and mitigation measures. To expand and improve an online and interactive encyclopedia for river restoration projects. To develop instruments for end-users to support decision making, and risk and benefits analyses for planning successful river restoration programmes.